Oncologists and cancer researchers from all over Norway convened at Losby gods outside Oslo on March 27-28th to participate in the first meeting held in Norway on the subject cancer genomics - entitled "Kreftgenomikk - vår nye hverdag" ("Cancer genomics - our new everyday life"). The meeting was opened by Minister of Health and Care Services Bent Høie. Talks were held by prominent cancer researchers - many of these from the Division of Cancer Medicine, Surgery and Transplantation, OUS. 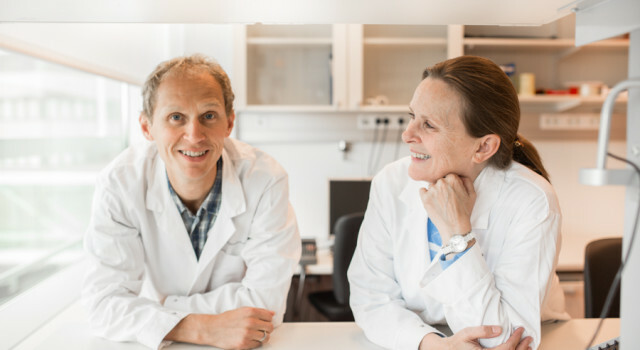 The conference, which was organized by professors Ragnhild A . Lothe, Dept of Cancer Prevention Institute of Cancer Research, and Per Eystein Lønning, Haukeland University Hospital, through "Norsk kreftsatsing", has attracted attention from the Norwegian media, and several of the participants have been interviewed on national radio. Home page of the meeting - "Klinikere og forskere møtes 27.-28. mars på Losby gods til Norges første konferanse innen kreftgenomikk"
From "Her og nå", March 28th - "Dagens gjest Ragnhild A. Lothe"